Longtown airfield (RAF Longtown) was an airfield 430 kilometers north-northwest of London. The airfield opened in July 1941 under the control of RAF Crosby with Hurricanes of 59 OTU. Later, it served as a training base for 1674 Heavy Conversion Unit (Halifax and Fortress bombers), 17 Group, RAF Coastal Command from October 1943. The Fortress flight was withdrawn to Aldergrove (Northern Ireland) in January 1944, the unit HQ followed in February and the Liberator Flight departed in June. Another unit using the airfield was 1332 Conversion Unit who operated from the airfield from September 1944, operating a very diverse fleet of Liberator (Mk. III/V/VI/VII & IX), Stirling III and Halifax Mk. VII & IX bombers, as well as York C.1, Skymaster C.1 and Oxford I transports until May 1947, when they were withdrawn to RAF Dishforth to become 241 OCU. The airfield closed in 1946. On the AirfieldInformationExchange, a former Lynx helicopter pilot recalled seeing the main runway intact in the 1980s. In 2010, the airfield was still recognisable, but largely broken up. 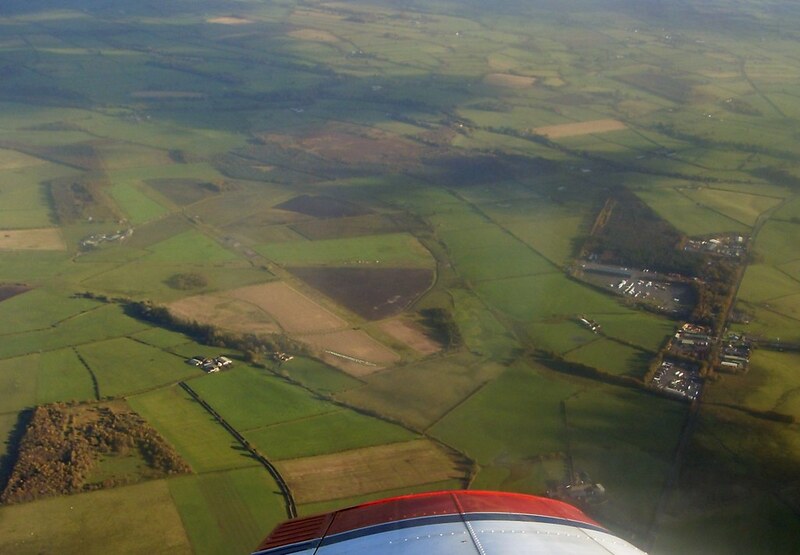 RAF Longtown in November 2008, by cessna152towser, on Flickr. Thank you to Rick Garside for adding information on this airfield!